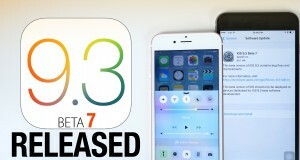 Today, Apple seeded iOS 9.3 beta 3, watchOS 2.2 beta 3, OSX 10.11.4 beta 3 and tvOS 9.2 beta 3 for developers, users had registered Apple Developer program should have received these updates. Course you can also go to the Apple Developer Center page to download. The new beta of iOS built number:13E5200d, new version brings with a number of new features, notably the sleep-enhancing Night Shift mode. The iPad gains multi-user login for educational customers, while Music, CarPlay, Wi-Fi calling added for Verizon users and Health have also received some attention. 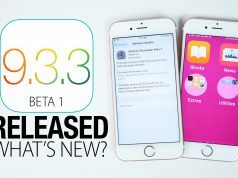 iOS 9.3 beta 3 update is available to members of the Apple Developer Program and can be deployed on the iPhone, iPod touch and iPad devices running a prior beta as an over-the-air download in Settings → General → Software Update. watchOS 2.2 Beta 3 comes two weeks after beta 2, and a month after the original watchOS 2.2 beta was released. The update includes a handful of new features, such as the ability to pair more than one Apple Watch with an iPhone and Maps app improvements. 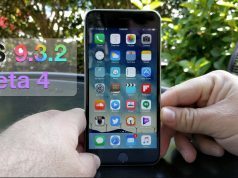 The third watchOS 2.2 beta can be downloaded through the dedicated Apple Watch app on an iPhone running the iOS 9.3 beta by going to General –> Software update. To install the update, the Apple Watch must have 50 percent battery, it must be placed on the Apple Watch charger, and it must be in range of the iPhone. OS X 10.11.4, while mostly featuring under-the-hood performance fixes, bug fixes, and security enhancements, does offer support for password protected notes in the Notes app, an import function for importing Evernote notes into the Notes app, and Live Photos support in the Messages app. You can download the OS X Software Update Seed Configuration Utility from the link below. tvOS 9.2 beta 3 also includes support for U.S. Spanish (for those in the U.S. only), French Canadian (for those in Canada only), UK English (for the United Kingdom) Australian (U.S. English) for Siri, redesigned app switcher, and MapKit support. Developers can download tvOS 9.2 beta 3 from Apple Developer Center, but you need to connect your Apple TV to your computer with a USB-C to USB-A cable.